Russian bat researcher fled Putin: Environmental prize to Suren Gazaryan. Don’t make Vladimir Putin’s people angry. Suren Gazaryan is a zoologist, a member of the campaign group Environmental Watch on North Caucasus, and a former researcher at the Russian Academy of Sciences. This week he was awarded the Goldman Environmental Prize for Europe. 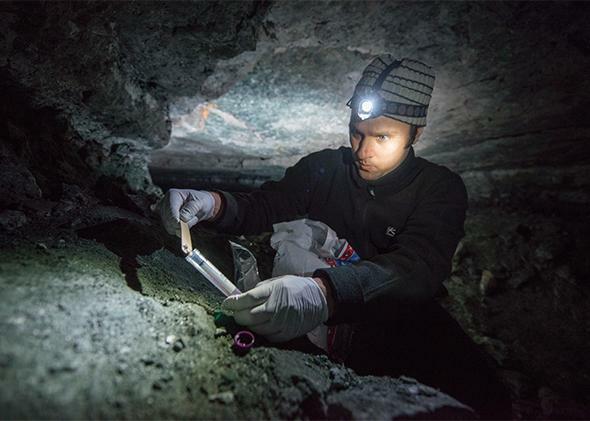 He set out to protect the habitat of cave-dwelling bats that he studies. He wound up having to flee his Russian homeland. Fred Pearce: They call you Russia’s top bat researcher. Suren Gazaryan: I worked at the Russian Academy of Sciences studying bats of the western Caucasus—that’s where I grew up, in Krasnodar near the Black Sea. The Caucasus Mountains were a refuge for bats during the last ice age. I looked at their habitats, distribution, and co-evolution with parasites. But you are also known as a conservationist. How did you get involved in that? I took up caving as a hobby, and I found that caves and forests where bats lived were being destroyed. So in 2005, I drew up an action plan for protecting the 35 species of bats in the Caucasus. I initially collaborated with Russian government agencies, but since then they have gone completely against the advice in the plan. What caused the shift in policy? Well, the big problems began when Vladimir Putin became president in 2000. He put environmental protection within the remit of the Ministry of Natural Resources, which is in charge of exploiting nature, and weakened environmental laws. In the Caucasus, the authorities started taking public lands—including parts of the Sochi National Park, a world heritage site—for tourist developments, roads, and projects for the Sochi Winter Olympics. What was the impact of those changes? Some caves where I did research have been turned into show caves for tourists and no longer have any bats at all. There was also illegal construction of huge palaces for leaders such as Dmitry Medvedev and Putin. So I joined protests against it. We documented the construction and blocked bulldozers on illegal roads. The security forces targeted me and other campaigning scientists, such as geologist Yevgeny Vitishko. In 2012, the two of us were convicted of spraying graffiti on the fence of a palace built for a regional governor. The spraying was actually done by others, during a public rally. What made you decide to flee Russia? We were given three-year suspended sentences and a curfew. Then, soon after, I was charged with threatening members of private security services guarding a palace connected with Putin. They had tried to take my phone when I photographed an illegal marina. My lawyer said I would go to a penal colony if I was convicted. So I fled the country in December 2012, leaving my family behind. 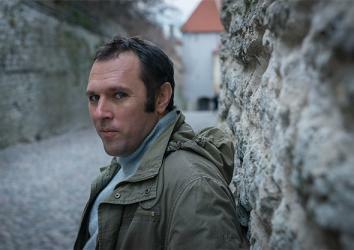 Vitishko stayed, and is now in jail after being convicted of violating his curfew. I am in Germany, where my scientific friends have helped me to go back to my research. I now travel to Georgia, just over the border from my home, to carry on investigating bats. My favorite is Bechstein’s bat (Myotis bechsteinii), which lives in colonies in tree holes. It is rare now in Europe because old-growth forests are disappearing. But I hope one day to go back to Russia to see them. Maybe when Putin is gone.